Nautilus Quicklist Adds Bookmark Support for Precise - OMG! Ubuntu! 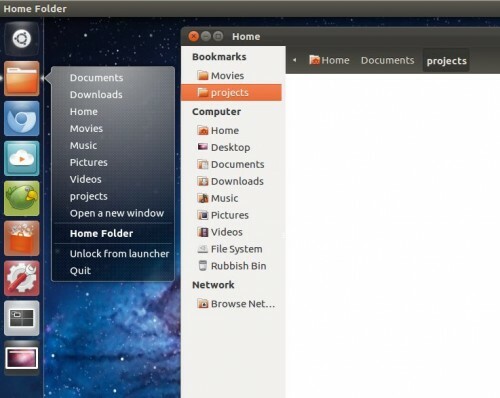 Support for accessing bookmarked folders through the Nautilus Quicklist in Ubuntu 12.04 has finally arrived. The feature, one long overdue, lists user’s bookmarks – both custom and default – alongside a static entry for opening a new Nautilus window. Which is all very handy. As trivial seeming an addition as a bookmark list sounds, the developer behind it, Didier Roche, notes on his blog that it was not as straightforward to implement as one might expect. 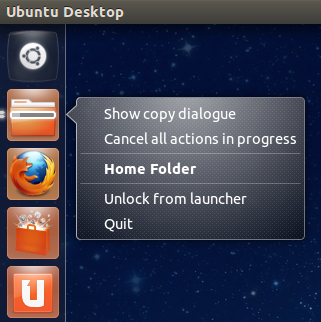 Nautilus’ launcher item is enriched further by this addition, complimenting the ‘dynamic quicklist’ for file transfer/copy that debuted in Ubuntu 11.10.